Estate Planning Series: Are Your Wills and Trusts Ready for the New Age of Digital Assets? Today, most of us have a digital or electronic presence. It may be online accounts, set up with user ids and passwords, for bank, investment, and retirement accounts, etc. These online accounts allow us to access statements, make transfers from one account to another, check account balances, check on insurance claim payments, access medical records, and more. Many of us also use e-mail services, store photos and music, have social media accounts, and so on. When setting up virtually all of these types of digital accounts, there is a Terms-of-Service Agreement which must be accepted before you can continue to utilize the service or account. Very few people read the service agreements or understand that, without valid legal protection, these accounts can be frozen upon your incapacity or death. 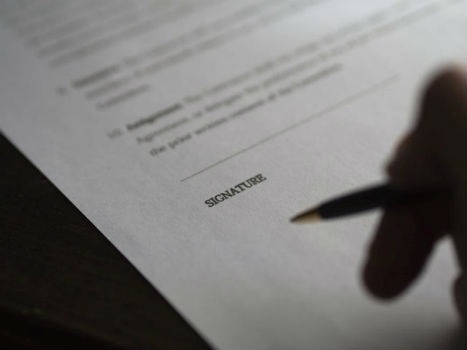 Needless to say, this can prove to be an extreme hardship for the person named as your attorney-in-fact (under a durable power of attorney), or the individual(s) named as executor or personal representative of your estate. The Florida Fiduciary Access to Digital Assets Act was passed to avoid these issues by doing the following: First, it allows those individuals named in your estate planning documents (i.e., your durable power of attorney and your will) the legal authority to manage digital assets and electronic communications when you can no longer do so. Second, the act provides the custodians of your information the legal authority they need to interact with the fiduciaries of their users while honoring the user’s privacy expectations. In addition, a custodian is granted immunity from liability for acts or omissions resulting from good faith compliance. At Capital Analysts of Jacksonville, when helping our clients review their wealth management strategies we often test retirement readiness and review their wills and trusts for distribution of assets to their beneficiaries. In doing so, our clients experience a demonstration of how their financial assets flow through their estate planning documents. This helps our clients see how their assets would be distributed to their heirs, based on not only their documents but also their asset titling and beneficiary designations. Clients can see if it still conforms to their desired plan. Part of the document review now includes checking for those digital assets powers. Before making changes to your estate documents, whether adding digital asset provisions or for other reasons, seek professional legal counsel from a qualified attorney. This article is not legal advice. It is intended for education purposes and to bring attention to a new important provision in the Florida Statues. If you would like to discuss your individual estate planning or financial situation, please contact Capital Analysts of Jacksonville at (904) 730-7433 to schedule an appointment with a financial advisor. Advisory services offered through Capital Analysts and Lincoln Investment, Registered Investment Advisers. Securities offered through Lincoln Investment, Broker/Dealer, Member FINRA/SIPC. www.lincolninvestment.com. Capital Analysts of Jacksonville, Florida, Inc. and the above firms are independent and non-affiliated.